Our invitations are available in a range of sizes. They are printed double or single-sided on a 300gsm Brilliant White uncoated card stock, which has a smooth finish. 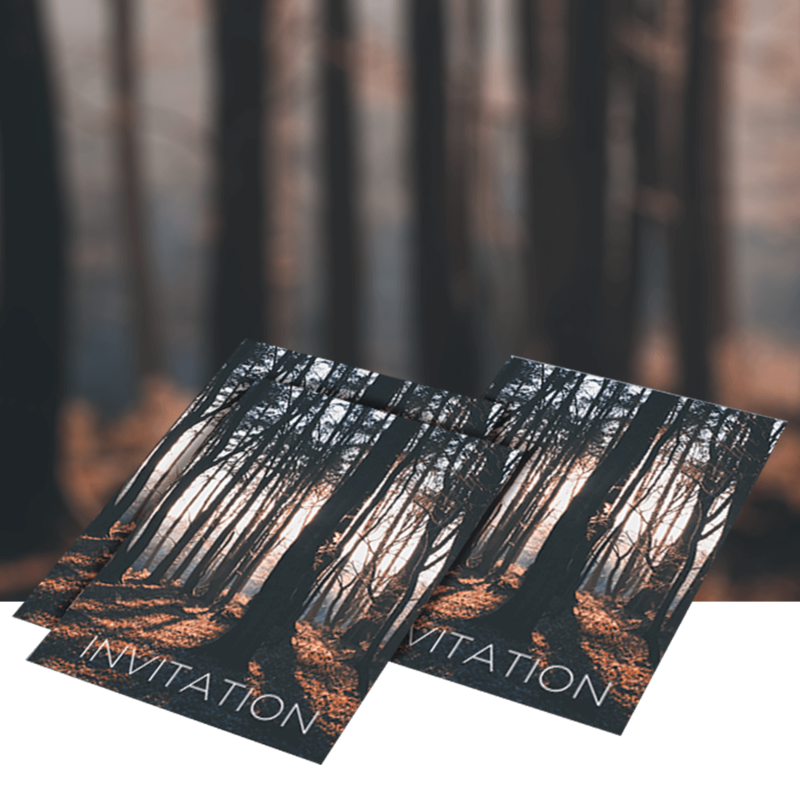 We can also produce bespoke invitations such as on; 350gsm Conqueror Wove stock, which is a high-end paper with a soft, creamy finish; or 300 Ice Gold stock, which gives each invitation a pearlescent shimmer. Ask for a bespoke quote if you do not see what you are wanting. Envelopes can be supplied as an additional extra.